This Poster Cover Works Well for Showcasing Signs to Consumers'! Clear Plastic Frames Come in Many Sizes! Buy This Poster Cover Today! Unit includes suction cups and adhesive tape for fast and easy mounting options. 11" x 17" Documents quickly slide into the frame, allowing for frequent updates. Unit is constructed from a flexible plastic for affordability. 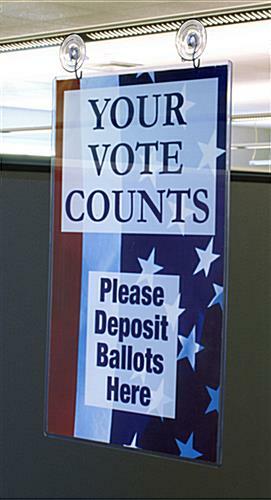 Frame is double-sided for attracting customers on either side. This poster cover, often referred to as a sign sleeve, is used for showcasing graphics and information to customers'. This print frame works best in a restaurant or a financial institution. This poster cover made from plastic is flexible, unlike rigid acrylic. This print display is clear so the focus is kept on the signs and not the frame. This poster cover that is double-sided attracts customers' whether they are coming or going. 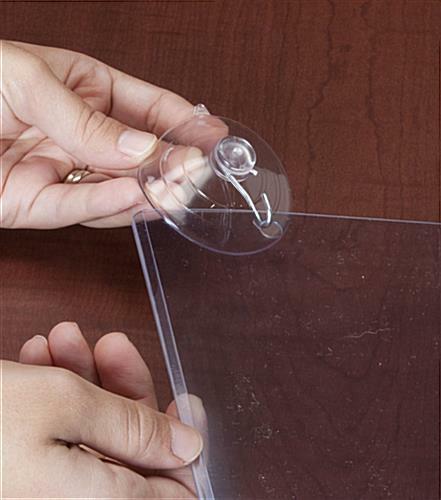 These displays include suction cups to mount easily on a window and adhesive tape for a wall display. In addition, these frames can be displayed using ceiling hanging kits or adhesive tape. This print display, poster cover does not come with a ceiling hanging kit. If the adhesive tape is used to mount this frame on the wall, it can exhibit either a portrait or landscape format. 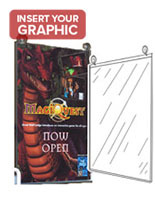 This sign display, poster cover will only hold vertical images with the suction cups and ceiling hanging kits. 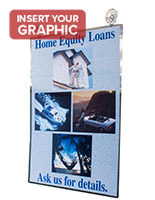 This display is an poster cover that is versatile due to the range of mount options. 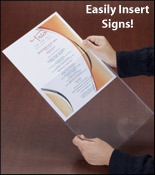 This sign sleeve is easy to set up with any of the mentioned presentation choices. 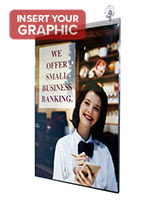 This unit is a poster cover that is affordable saves businesses time, in addition to money. This print frame will protect images from becoming torn or creased. 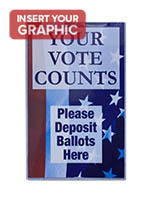 This sign display, poster cover will keep graphics looking sharper longer. This image frame is easy to update, graphics simply slide into the unit. This display loads at the top for a portrait orientation and the side for a landscape format. These in-stock items ship same day if ordered by 1pm EST Monday – Friday.